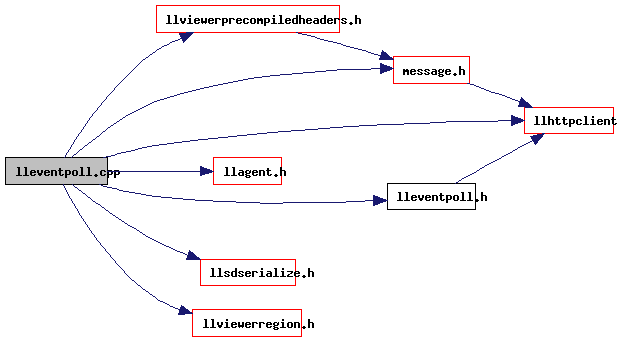 Implementation of the LLEventPoll class. Definition at line 67 of file lleventpoll.cpp. Definition at line 71 of file lleventpoll.cpp. Referenced by LLParticlePartition::getGeometry(), LLProfile::isFlat(), LLUUIDHashMapIter< DATA_TYPE, SIZE >::next(), and LLLocalIDHashMapIter< DATA_TYPE, SIZE >::next(). Definition at line 62 of file lleventpoll.cpp. Definition at line 64 of file lleventpoll.cpp. Definition at line 65 of file lleventpoll.cpp. Definition at line 70 of file lleventpoll.cpp.